Belarus has adopted a roadmap to attract increased investment in energy efficiency and renewable energy in the country. 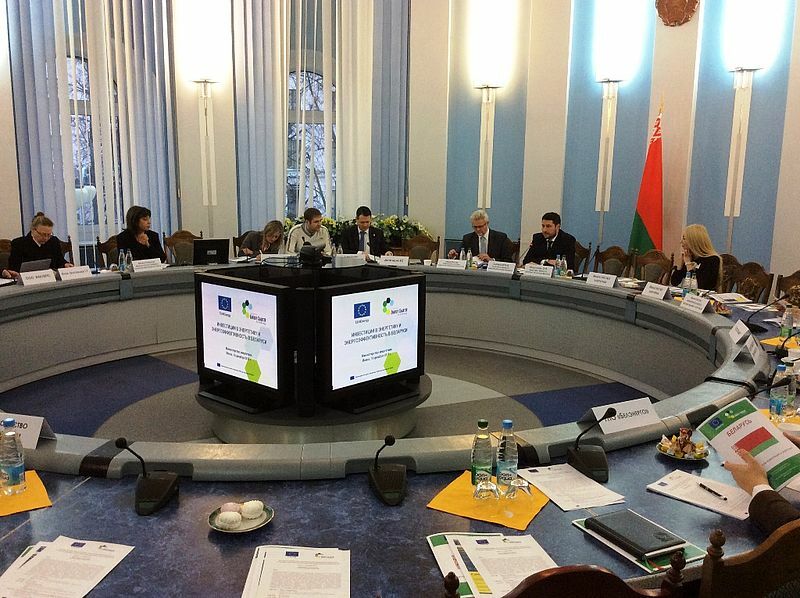 The roadmap was adopted as a result of the 3rd meeting of the “Task-Force for Scaling up Investments in Energy Efficiency”, organised by the Energy Charter Secretariat on 14 December 2017 in Minsk, Belarus. The meeting brought together representatives from the Ministry of Energy, state-owned energy companies, the private sector and international finance organisations. The Energy Charter Secretariat presented a tailored assessment of the policy, legal and regulatory risks that may deter investment in the energy sector of Belarus. According to the Energy Charter Secretary General, Dr Urban Rusnák, Belarus provides a moderate environment for investment in the energy sector. The roadmap outlines the concrete steps that Belarus should take to increase investments in the area of energy efficiency and renewable energy. With a timeframe up to 2030, the roadmap focuses specifically on the electricity and industry sectors. These events are part of EU4Energy Governance – a project funded by the European Union, which provides support to Eastern Partnership countries in strengthening their energy sectors’ legislative and regulatory frameworks. As an EU4Energy implementing partner, the Energy Charter Secretariat works closely with the governments of Armenia, Azerbaijan and Belarus to provide technical assistance in promoting energy security, energy market reforms and sustainable energy.